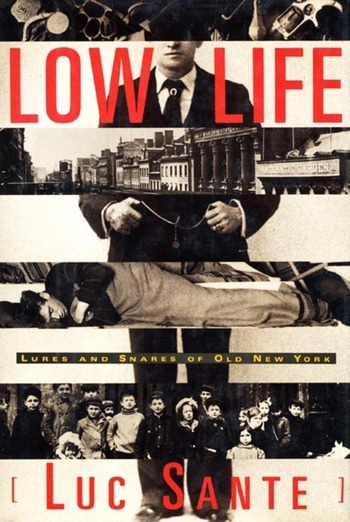 Luc Sante's Low Life is a portrait of America's greatest city, the riotous and anarchic breeding ground of modernity. This is not the familiar saga of mansions, avenues, and robber barons, but the messy, turbulent, often murderous story of the city's slums; the teeming streets--scene of innumerable cons and crimes whose cramped and overcrowded housing is still a prominent feature of the cityscape. Low Life voyages through Manhattan from four different directions. Part One examines the actual topography of Manhattan from 1840 to 1919; Part Two, the era's opportunities for vice and entertainment--theaters and saloons, opium and cocaine dens, gambling and prostitution; Part Three investigates the forces of law and order which did and didn't work to contain the illegalities; Part Four counterposes the city's tides of revolt and idealism against the city as it actually was. Low Life provides an arresting and entertaining view of what New York was actually like in its salad days. But it's more than simpy a book about New York. It's one of the most provocative books about urban life ever written--an evocation of the mythology of the quintessential modern metropolis, which has much to say not only about New York's past but about the present and future of all cities. Luc Sante was born in Verviers, Belgium, and now lives in New York City. He is the author of Evidence, The Factory of Facts, and Walker Evans, and his work has appeared in The New York Review of Books, The New Republic, and Harper's, among other publications. He teaches writing and the history of photography at Bard College.